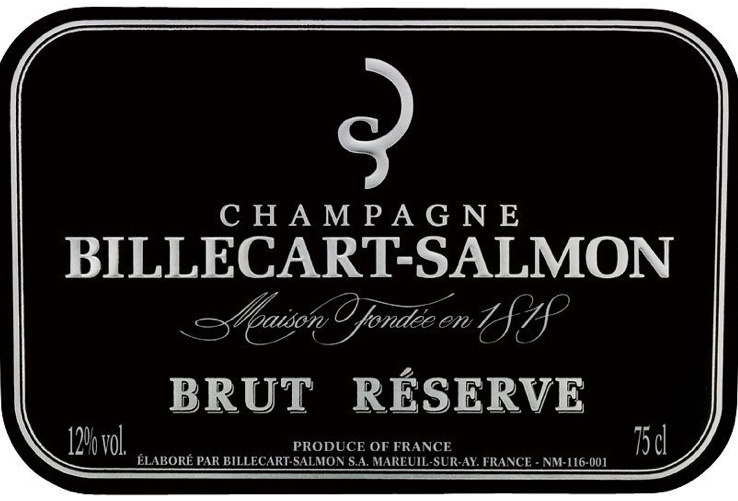 The BILLECART-SALMON Brut Réserve is a round, harmonious and balanced champagne. Its blend has remained unchanged since 1945 : grapes from three different years - Pinot Noir, Chardonnay and Pinot Meunier, from the best sites of the Marne. This cuvée, with reflections of straw yellow, stands out by the finesse of its slowly rising bubbles and its persistent mousse. Maturity touched with floral freshness for this cuvée that breathes aromas of ripe pears. A full, vinous attack followed by a fine freshness and a rich bouquet bear witness to the ageing of this cuvée in the House’s traditional cellars. The BILLECART-SALMON Brut Réserve is your partner throughout the day. It can be consumed with a wide variety of dishes on all kinds of occasions. It should be served at 8° C and can be laid down for up to 10 years in an appropriate cellar.